In 1963 Alfred Hitchcock’s movie The Birds was released to critical acclaim. The film is the apocalyptic story of a northern California coastal town subject to an onslaught of seemingly unexplained, arbitrary and chaotic attacks by ordinary birds – not birds of prey. Nowadays, a horror film could easily be made about the impact of bird infestation. Diseases, avian parasites and the destruction of the food processing industry are just some of the many topics this film could be centred around. Birds have been invading commercial and industrial buildings for years but the difference is we are now equipped with the knowledge of how to control this problem. Manage infestation by bird proofing your building before it results in one or more of the following issues. Birds harbour infectious diseases that can be harmful to humans if contracted. 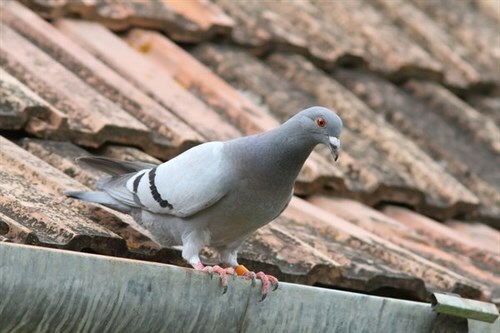 It has been suggested that up to 60 diseases are spread by pigeons, starlings and house sparrows. Histoplamosis, cryptococcosis, salmonellosis, campylobacter and e-coli are just some of the many diseases birds can carry. These pathogens are spread by a variety of means including dust from bird droppings and ecto-parasites associated with most bird species. The side effects from these illnesses are extremely serious, and it goes without saying that bird infestation needs to be treated as a major threat to health and safety. With the range of diseases birds can carry, we need to ensure they are completely clear of any food processing organisation. Any stock that is stored in the area could easily be contaminated if there is a presence of bird infestation. Once pathogens or parasites are present inside the building, the problem is much more difficult to control and could result in dramatic loss of stock. It doesn’t take long for bird numbers to build up and before you know it, they are wreaking havoc on a number of building components. 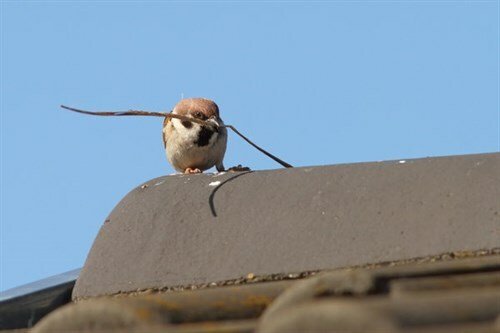 Unfortunately, birds aren’t choosey about where they defecate and as this builds up, it can quickly cause blocked drains, contaminated roofs and problems with gutters and downpipes. How can Unique Services help with bird menace? Controlling bird infestation is more complicated than it first appears but Unique Services have faced the issue many times before. The team at Unique Services are specialised in bird control and will assess your situation before coming up with the right solution for you. We have a wealth of experience in controlling bird nuisance and will work in shut-down hours, nights and weekends to minimise any disruption to your business. Unique Services adhere to both ethics and bird regulation standards before implementing a control system. Here we will break them down and look at the advantages and limitations of each. This consists of a series of parallel wires supported by narrow pins and held under tension by small springs. These wires can be installed at differing heights so they come into contact with the bird’s wings. This system functions by exclusion, preventing birds from nesting in recessed portions of the building in light wells or under eaves. A physical barrier deterrent made up of rows of needles or spikes pointing upwards. The spikes are intended to make it difficult for large birds to land. They are used on horizontal surfaces where birds are known to roost or nest. The spikes irritate birds but don’t hurt them. A gel based on gels from either polybutylene or modified vaseline. The tactile properties of the gel are intended to irritate the bird’s feet. Effective bird control is a complicated matter and Unique Services are here to help. 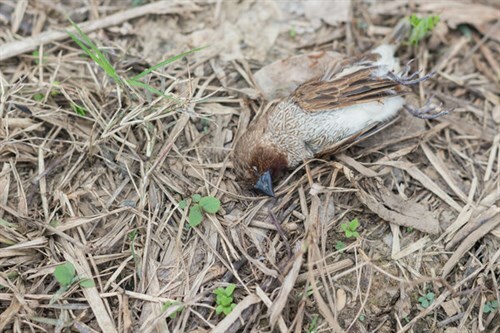 Whether it’s to remedy a bird problem or prevent one from happening, we canl implement strategies to remove the birds and deter any more from roosting, perching or nesting inside your building. 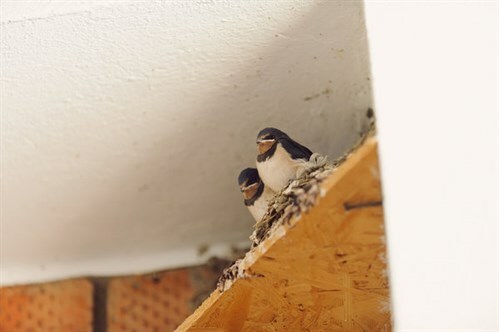 We understand that no two bird infestation problems are the same, therefore we will provide a customised fit out and installation of products tailored to suit your needs. Call us for a no-obligation free quote and let us know how we can help.